Last month, Slim Shady followed-up his chart-topping 2010 with bringing his sophomore classic past 10 million copies sold. It has been confirmed that Detroit, Michigan superstar Eminem’s Marshall Mathers LP album has reached diamond status. 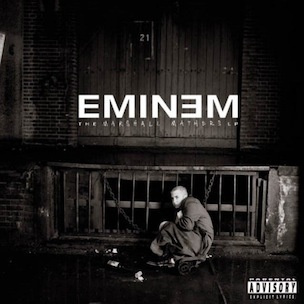 Signifying 10 million copies sold, the 2000 Aftermath Entertainment/Interscope Records release remains one of Em’s most critically-acclaimed works. Website HipHop-N-More.com pointed out the milestone, as confirmed by the RIAA. The Marshall Mathers LP, released on May 23, 2000, featured the singles “The Real Slim Shady,” “The Way That I Am” and Dido-sampling “Stan.” Guests on Em’s sophomore studio release included Dr. Dre, D12, Xzibit, RBX, Sticky Fingaz and the late Nate Dogg. Production on the album was handled by Dr. Dre, Mel-Man, The Bass Brothers and Flavor Unit co-founder 45 King. Other diamond-certified Hip Hop albums include Outkast‘s Speakerboxxx/The Love Below and Notorious B.I.G.’s Life After Death.